Breaking free of the idea that we are all just here to accumulate products has everything to do with revolutionizing oneself, honoring your soul and singing the truth as you know it to the world. Docia Zavitkovsky, a true champion of children into her mid-90's, died at 4 a.m. December 24. To the very end, Docia cared deeply about children. Karen Fite reported that on the day before she died, "from her bed, on oxygen, she greeted Nigel 6 (for whom Docia had a very special place in her heart), Sophie 4, and Emilia 3, and played games with Nigel and admired the art work of Sophie and Emilia. They were a gift to her and she to them." Docia had a knack for engaging everyone she talked to in a way that made your work feel so very special. She had a profound grasp of what children need and shared these insights not in academic lectures but by telling children's stories. For nearly three decades she shared "Docia Stories" in Exchange magazine where she used a story about a child to help us better understand how children perceive the world. Those who would like to honor Docia with a gift are encouraged to make a donation to Docia's foundation, Play Matters (www.playmatters.org). We believe, as Docia did, that sharing stories about children, if done with respect, can help us understand how children's minds work, how they process our "adult" communication, and how they figure out how the world works. Plus, they remind us that it is okay to laugh with children -- not at children -- and that even though early childhood education is incredibly serious work, it will only work in an enjoyable environment. So starting today, we are going to share one of your stories each weekday on our website. And, we will invite you to share more of your stories. To read today's story, click here. You can read all 75 stories that Docia published in Exchange for free by going to Docia Stories. 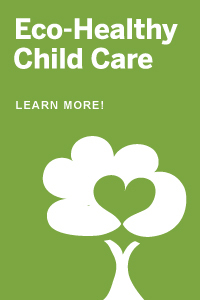 WatchMeGrow Childcare Camera Systems: View classrooms, lobby, lunch room, employees, etc. Review video with your families and staff. Secure family viewing available! Call us today 800-483-5597! Become an endorsed provider today. It's free and easy! "pulling the tail off a tadpole doesn't make it a frog!"